Domaine Faiveley is one of the biggest domaines (115ha) in Burgundy and, many would argue, one of the best. This illustrious company has been based in Nuits St Georges since the days of Pierre Faiveley who founded the business in 1825. His son Joseph gave his name to the family business, to be followed by the first François, Georges who was instrumental in founding the Chevaliers du Tastevin, Guy who developed the business in the Côte Chalonnaise, François who has recently retired and now his son Erwan, born in 1979. The change of generation, enhanced by the arrival of Bernard Hervet as Managing Director, is clear warning of the intention to dynamise the business. 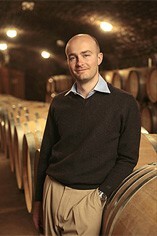 Already there has been a notable expansion of vineyards under Faiveley’s control – purchase of Domaine Annick Parent (Pommard, Volnay and Monthélie), Domaine Monnot (various Puligny-Montrachet vineyards including grands crus Bienvenues-Bâtard-Montrachet and Bâtard-Montrachet) and the contract to farm the vineyards of Domaine Matrot-Wittersheim in Meursault and Blagny. Between them, these initiatives greatly expand Faiveley’s presence in the Côte de Beaune, thus also increasing the proportion of white wines in what they have to offer. It is too early for me to have formed a clear idea of the Faiveley white wine style. There are several separate viticultural teams to cover the ground, ensuring that all the vineyards are ploughed, the vines are pruned short and debudded meticulously. The grapes are entirely destemmed and fermented in new wooden vats for the finer wines, conical stainless steel tanks for the lesser cuvées. There is less emphasis on extraction than in François Faiveley’s time, though the juice will still be punched down during fermentation. The most obvious change though is in the barrel cellar where the previous supplier has been dropped and replaced with Francois Frères, Taransaud and three other coopers. Both premier and grand cru wines may receive two-thirds new wood. Old style Faiveley wines could be massively tannic at the expense of the fruit. From 2007 the wines are much fresher and fruitier, yet still with real intensity. 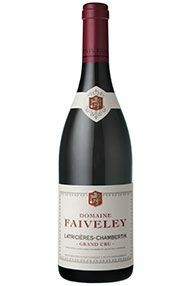 Many of Faiveley's top wines are hand bottled with no filtration. 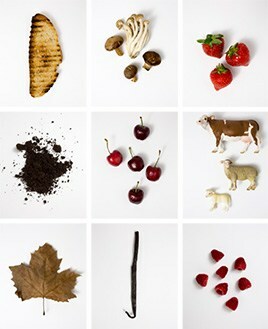 This in turn results in clean, opulent wines that often show Pinot Noir at its best. Their concentration and richness are rarely equalled.